When you’re involved in a wreck, it’s natural for panic to set in. 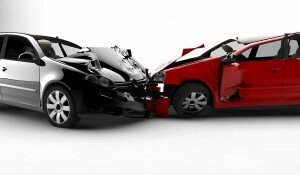 For most of us, car accidents are once-in-a-lifetime experiences – it’s natural to feel unsure about what to do once you’ve been involved in one. But a new law seeks to fine drivers who don’t move their vehicles to the shoulder of the road following a collision. As it stands now, drivers in Virginia aren’t required to move their cars off the road when they are involved in an accident. Though recommended, this practice doesn’t always happen, especially among nervous, frantic drivers. Instead, the accident clogs up the road and causes major traffic headaches. This newly proposed law would fine drivers who don’t move to the shoulder. Some nervous drivers who have been involved in an accident are hesitant to move their vehicle before police arrive to investigate the incident. Thanks to modern technology and police work, though, waiting in place is unnecessary. Police train in junkyards on crashed vehicles, giving them insight into the strategies needed for investigating near a crash site. Whether or not this rule becomes law, we recommend moving your car off to the shoulder of the road regardless. It not only prevents traffic jams, but actually is much safer for all parties involved. After you move your vehicle, call the police and begin exchanging information with the other driver. After you received the necessary medical attention, car accident victims should reach out to our team of Virginia personal injury lawyers for a free consultation.